Saving for retirement means putting your money to work for you and watching it grow over time. Investing may be intimidating, but it’s the only shot most of us have to save enough money for retirement. Yes, it’s possible to make money from money and if you want to do so, interest is your friend. Read on for our guide to see how it works and what you need to know about rates. Interest is divided between the kind that you give and the kind that you get. Interest you give is the what you pay for borrowing things. As an example, consider the rate on your home mortgage or your credit card. When you borrow money from the bank, you don’t just pay back the principal of what you owe. You also make interest payments. That is the cost of borrowing money. 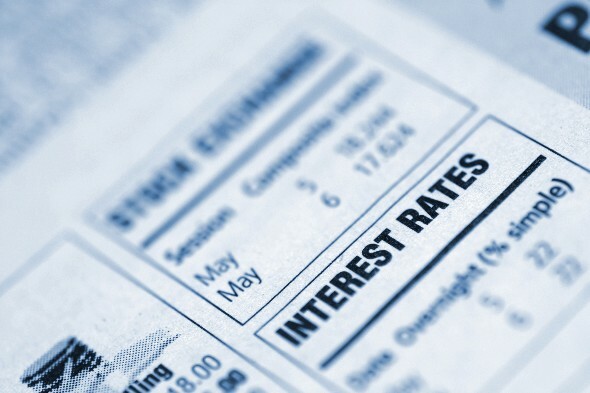 Before you commit to borrowing money it’s important to know what your interest rate will be. If you can, it’s best to avoid high rates like the plague. Some lenders will charge triple-digit rates for things like payday loans. Seriously. This can quickly add up. Now that we’ve scared you with all this talk of interest you pay, let’s talk about a more appealing kind – the kind you earn. Interest you get is what your money earns just for being money. That could be simple interest, a percentage of your original principal paid to you at regular intervals. Or, it could be compound interest, a percentage of the sum of your principal and the interest you’ve already earned. It’s easy to see that with compound interest your money grows much more quickly. The interest you earn increases with each compounding period. Some call compound interest magic. We call it an essential part of any retirement savings strategy. So how do you take advantage of compound interest? You invest. (Technically, you get interest from bonds and earnings from stocks, but “interest” as a general term is often applied to the money you get from investing in both stocks and bonds). As you earn interest from bonds or dividends from stocks, you can reinvest that money, earning more interest and dividends on the new, higher amount. That’s compound interest, and it’s how folks with modest incomes can save big nest eggs if they invest wisely and start early. Of course, your net worth will fluctuate with the value of your investments, but over time you’ll see a general upward trajectory. Compound interest is such a valuable resource, in fact, that folks who start investing when they’re young have significant advantages over folks who wait to get in to the investing game. The younger you are when you start investing, the more time your money has to compound. A person who starts saving at 25 and wants to save a million dollars has to save a much lower percentage of her income than someone who starts at 40 and wants to save the same sum. An investing term you may have heard is “interest rate risk.” This refers to the potential ill-effects of changes in the interest rate. Bondholders should worry about interest rate risk because changes in the rate affect the prices of bonds. Here’s how it works: If you already have a bond when interest rates go up, that bond becomes less valuable. There’s an inverse relationship between interest rates and bond prices. So, interest rate risk is the risk bondholders run, the risk that rates will rise and their bonds will be worth less as a result. Why this inverse relationship between interest rates and bond prices? Well, the interest rate that a bond pays is tied to the federal funds rate, a.k.a the interest rate, the one you hear about on the news when people talk about what the Federal Reserve is up to. If that interest rate rises, the rate you can get on a new bond rises too. That makes an existing bond at the old, lower rate less valuable. That’s a bummer for bondholders – hence the term interest rate risk. If you want to sell bonds you already hold after rates rise, you’ll have to sell them for less than you paid to buy them. If you haven’t started investing yet, you might think of interest only as a negative. It’s the money you pay to the bank for the privilege of taking out student loans, charging purchases to your credit card, or financing a home. At best, it’s the paltry amount that the money in your savings account is earning. But that’s not the only kind. Once you start investing, you can take advantage of the wonderful asset that is compound interest. And here’s some more good news: you don’t need to be rich to start investing. So why wait?